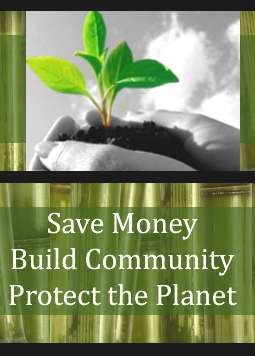 Want to learn how to save money, build community and all while protecting the environment by tackling climate change? Come to our first Climate Coop event October 20, from 6-8pm at the Southside Commons in Columbia City. Guest speakers include Deputy Mayor Darryl Smith, Brooks Kolb, Michael Murphy and more. Let's work together to save money and tackle climate change. Sustainable South Seattle (S3) has ideas about how we can work together, as neighbors, to save money on energy and transportation, build a more healthy community and help the planet while we're at it. The 98118 zip code is the most diverse zip code in our nation providing many perspectives that strengthen our ability to find various successful ways to limit our carbon footprints. Please contribute your ideas and opinions to help us all make a difference. This is a free event. Food, refreshments and childcare will be provided. Please RSVP to moc.liamg|pooc.etamilC#moc.liamg|pooc.etamilC so we can get a head count of who's attending. If you need language assistance please say which language within the email. This project is funded in part by a Neighborhood Matching Fund award of the Seattle Department of Neighborhoods.